Aidan Burley, MP for Cannock, was the guest of honour at the launch event, joining Area Director West of Arriva Midlands, Rob Cheveaux and Cannock Chase District Council leader, George Adamson to view the vehicles and learn of Arriva Midland’s proposals to introduce the service commercially on Sundays from 23 March 2014. The circular service runs every twelve minutes in each direction during the week giving Pye Green residents the benefit of ten journeys per hour into Cannock. 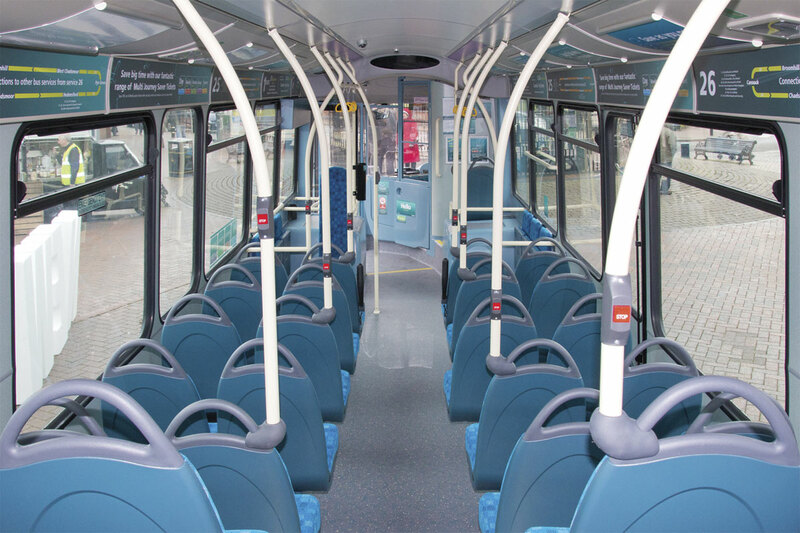 The new Wrightbus VDL vehicles represent a £1.1m investment and feature low-emission engines, CCTV, moquette seating and LED lighting together with buggy and wheelchair areas. Five of the vehicles are route branded for the Pye Green circulars, appropriately using a green base for the route details. The route numbers 25/26 feature prominently and the route detail is restated via a circular device towards the rear on both sides. 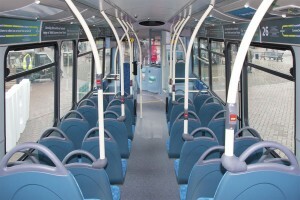 The rear panel gives details of the onward connections available from Cannock bus station, continuing a theme from posters inside the vehicles. The Pye Green circular serves a well populated area on the southern flanks of Cannock Chase. Originally an area dominated by coal mining and associated communities, significant housing growth took place from the mid twentieth century with further expansion planned. 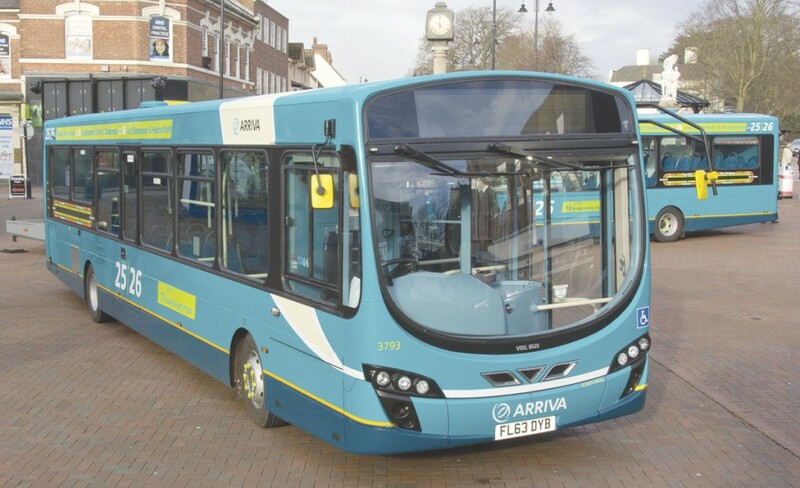 Bus services have always provided a vital role in connecting the area with local facilities in Cannock and Hednesford and in time past these were provided by diverse operations. The original Green Bus Company of Rugeley and the later Green Bus Company of Great Wyrley both served the area alongside the muncipal buses of Walsall, significantly outside the core operating area of that operator and its successor, WMPTE. 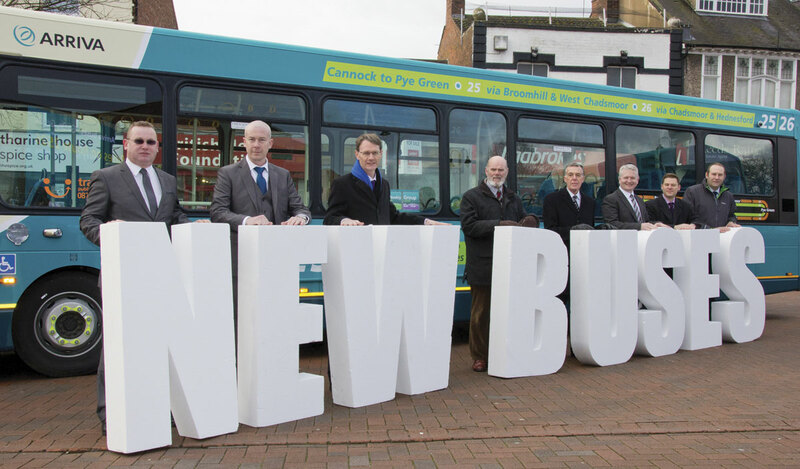 Arriva Midland’s predecessor, the then NBC owned Midland Red North, acquired the original Green Bus Company in 1973 and opened an operating base in Cannock in 1977, a rare investment in new premises in that era for NBC. 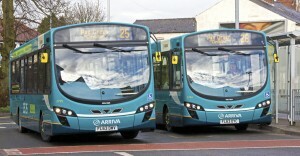 The depot became the headquarters of Midland Red North and continues to play a vital role today for Arriva Midlands in the area, with 52 vehicles based there.